The 41st Annual Frank Stick Memorial Art Show will be held at Dare County Arts Council January 26- February 26, 2019. The 41st Annual Frank Stick Memorial Art Show will be held at Dare County Arts Council January 26- February 26, 2019. The 2019 show will be dedicated to the late Glenn Eure. The show is open to Dare County Arts Council members and non-members. Works by artists under the age of 18 are subject to DCAC Program Committee approval. Artwork can be dropped off on Tuesday, January 22 or Wednesday, January 23 between 10am and 5pm at the DCAC Gallery, located at 300 Queen Elizabeth Avenue, Manteo, NC 27954. Author, poet and Gallery owner Pat Eure will judge the show. Join us for the Opening Reception on Saturday, January 26 at 6pm. The annual show is held in memory of Outer Banks preservationist and artist Frank Stick, and is the longest running visual arts exhibit in Dare County. The Frank Stick Memorial Art Show goes on display every January at the DCAC Gallery. In 2017, the show was held at the DCAC Gallery for the first time since its inception 39 years ago. Artists are encouraged to enter their most innovative work for the possibility of winning the distinctive Eure Best in Show Award, which is an ode to Glenn and Pat Eure for their many years of hosting the Frank Stick Memorial Art Show at Ghost Fleet Gallery. The Frank Stick Memorial Art Show is open to Dare County Arts Council members and residents of Dare County age 18 and over. The Frank Stick Memorial Art Show’s namesake, Frank Stick, was a well- known illustrator who produced work and cover art for Field and Stream, Outdoor America, Colliers, Sports Afield and The Saturday Evening Post. He studied under Howard Pyle and was a contemporary of N.C. Wyeth. Stick moved to the Outer Banks in 1929 and put his artwork aside until his later years when he returned to painting. He had a fascination with marine life and did a multitude of lush watercolors of fish, combining a scientific understanding with a lyrical watercolor style. His son David complied his fish paintings into a book, which was published shortly before Stick’s death in 1966. An Artist’s Catch is still available in print. Stick’s passion for nature did not end with painting. 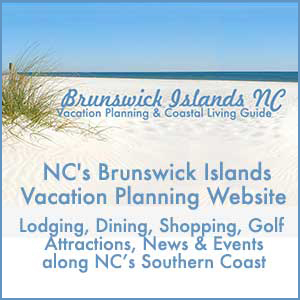 He worked to preserve the Outer Banks coastlands and was instrumental in having miles of Cape Hatteras Seashore designated as the first National Seashore. Stick’s passion for the land included creating and developing Southern Shores, a “Wind in the Willows” sound-to-sea community on the northern beaches. His influence on the Outer Banks as a preservationist and artist made him a likely choice for the arts council’s first full- fledged, annual exhibition, which began in 1978 and remains the longest running visual arts exhibit in Dare County.